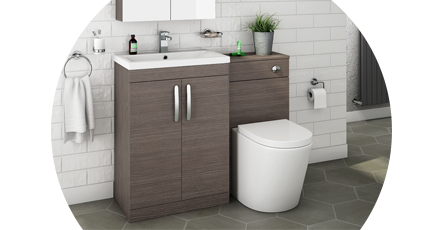 The Brooklyn bathroom furniture range is a collection of designer vanity units and cupboards, great for modern bathrooms that need to be practical too. This collection of modern bathroom furniture has a range of colour finishes, and is also available in a variety of sizes and configurations to suit every bathroom need. We recently introduced modern mirror cabinets to the Brooklyn range, so it's never been a better time to complete the look with coordinated, matching bathroom furniture.